Are we Closer to Marijuana Decriminalization? Aye(s) with reservations: Senator(s) Baker. Noes, 3 (Senator(s) Fevella, Harimoto, Moriwaki). 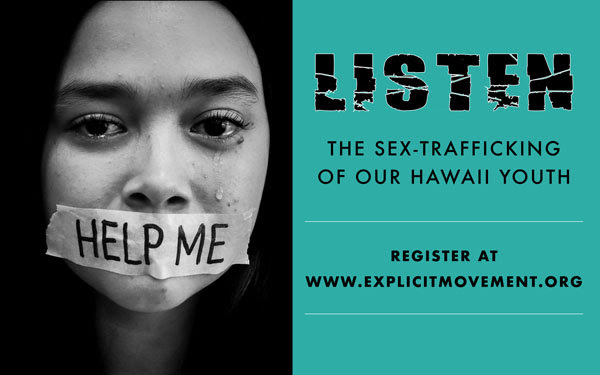 STATUS: On April 11, the Senate received notice (House Com 804) that the House disagrees with their changes so the bill will now move to a conference committee consisting of members from both the House & Senate. All the suicide prevention bills are headed for conference committee. The House disagrees with the Senate Amendments so the bill is pending hearing by a conference committee. House Conferees Appointed: Mizuno, Nakamura Co-Chairs; Eli, Gates, Morikawa, Todd, Ward. Senate Conferees Appointed: Baker Chair; Dela Cruz Co-Chair; Fevella. STATUS: No meeting scheduled at this time but most likely will be next week. Designates the month of September of each year as Suicide Prevention and Awareness Month. The bill had originally been sent to the governor, but it was recalled on April 9th and a Floor Amendment was suggested and passed. It then passed as amended (SD 1). Excused, 1 (Senator(s) S. Chang). STATUS: The House disagrees with the Senate amendment so the bill will now go to a conference committee consisting of members from the both the House and Senate. Pending assignment of committee members. Establishes a Suicide Prevention Commission to develop a strategic plan to reduce suicides within Hawaii's correctional system. Appropriates moneys to the Department of Health to develop a centralized assessment and treatment program. On April 9, 2019 the bill passed the Senate unanimously as amended (SD 1). On April 11, the Senate received notice that the House disagrees with the Senate amendments so the bill will now go to conference committee consisting of members from both the House and Senate. STATUS: Pending conference committee assignment. Requires DOE to establish a mandatory youth suicide awareness and prevention training program and model risk referral protocol, based on existing materials created by DOH, for all public schools, including charter schools. Requires charter schools to provide the training program and risk referral protocol to all school personnel who work directly with students in department schools and charter schools, respectively. The House received notice on the 9th that the Senate disagrees with the House amendments. The bill will now move to a conference committee consisting of both House & Senate members. STATUS: The bill is pending conference committee member assignments. Establishes the culturally competent palliative care pilot program within the DOH to provide public education and conduct two home- or community-based palliative care pilot programs. Establishes an advisory group to oversee the pilot program. On April 9, the House received notice that the Senate disagrees with the House amendments. A conference committee will be convened to include members of the both the House and Senate. STATUS: Pending Conference Committee member assignment. All concurrent resolutions with multiple referrals must move to their final committee in the non-originating chamber by this date. A proposed amendment's final form must be provided by written notice to the Governor at least 10 days prior to passing final reading by a 2/3 vote in each chamber. Once adopted by the Legislature, the proposed amendment is submitted to the voters, in the form of a 'yes or no' question on the ballot, for ultimate decision. Deadline for passing amended concurrent resolutions in the non-originating chamber in order to "cross back" to the originating chamber. Deadline for submitting non-fiscal bills for final reading by both chambers. Deadline for submitting fiscal bills for final reading by both chambers. Fiscal bills include appropriation or spending bills, tax credits, etc., or any bill with a House Finance or Senate Ways and Means referral. In Latin, "sine die" means "without a day specified for future meeting." Adjournment sine die occurs on the 60th legislative day of a Regular Session, and indicates a suspension of the business of the legislature indefinitely. Next, the Legislature will certify the bills whose form both chambers have agreed to, and will transmit or "enroll" those bills to the Governor. Florida, Maryland, Minnesota, Mississippi, Missouri, Ohio, South Carolina and West Virginia are among the states that have either passed "heartbeat" legislation or are hoping to do so. This comes as states like New York, New Mexico, Maryland, Rhode Island, Vermont, and Virginia, among other Democratic-leaning states, are supporting bills that allow abortion up to the moment of birth. A discharge petition is a procedural tool to bring legislation to the floor when House leaders are blocking a vote (like what is happening on the Infants Born Alive Bill). If a simple majority - 218 members of the House - sign the discharge petition, the legislation goes to the House floor for a debate and vote. So, where is Hawai'i? Both of Hawaii's Representatives in Congress (Case and Gabbard) have not signed onto the "discharge petition." Right now, 199 representatives have signed, so only 19 more signatures are needed to force a vote. Click here fo the discharge petition tracker. Registration open from 6:30 p.m.
Save-The-Date for April 28 as End Birth Day Abortion Sunday. Visit this link for ways you can get your church involved. In addition, please see below for FREE tools developed by the Family Research Council you can use to encourage your community to participate.